Android Nougat now offers the option to migrate from iOS, kind of? A Reddit user performed a factory reset on his Nexus 6P only to discover that a new option is now available for the first time on a device running stock Android. Granted, this isn’t a feature exactly new on Android. OEMs like HTC and Samsung have offered the option to switch from iOS before. The real news here is that an iOS migration option appears in the setup of a Nexus 6P on Nougat. The option links you to a website with instruction on how to migrate your stuff over from iOS. So, the migration tool isn’t really a tool. From what it appears on the website, you won’t be able to transfer text messages or email accounts from your iOS device over Wi-Fi or OTG cable like on Samsung's Smart Switch migrator. 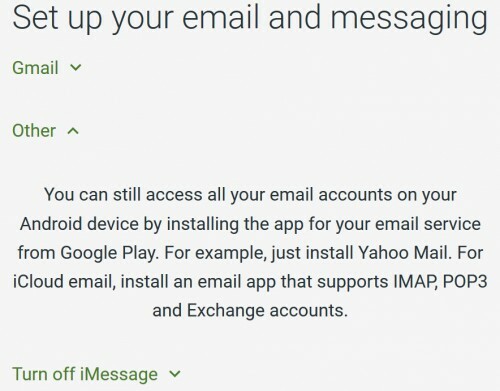 For emails, the directions just say to “install the app for your email service from Google Play”. For iCloud mail, it says to “install an email app that supports IMAP, POP3, and exchange accounts.” Then there’s a friendly reminder to disable iMessage before switching your SIM card. All these instructions tell you to do is download some app and use it to move your stuff onto Google’s services. 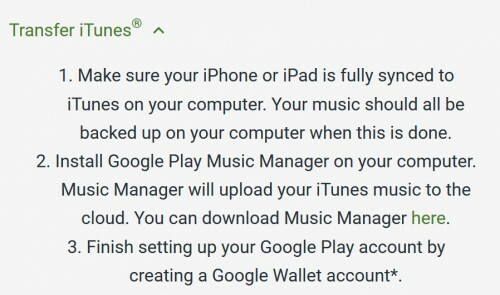 To transfer music, the instructions tell you to download the Google Music manger on your computer and upload everything from iTunes. Likewise, the way to transfer photos is by downloading the Google Photos app for iOS and uploading your entire image collection. So in reality, there is no migration tool. It’s just a website that reminds people that they can use Google’s tools to back their stuff up. Maybe the option is a placeholder for a migration app to be released by Google in the future? 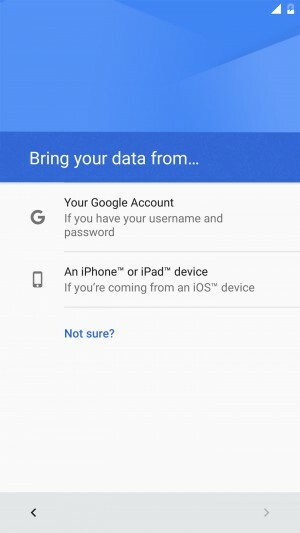 Should Google have even put this option on Nougat? Would it have been better if Google left the option out altogether? They could make Android for all iphones. Ios is nothing else just an overpriced software with even more pricey apple store where alnmost nothing is for free. Instead of google play store where is almost everything for free. Will XIAOMI REDMI Note 3 will get Android Nougat Update? The Iphone's era is not doing well copying the mistakes of NOKIA. For sure, bankruptcy hunts Apple down.